While cameras haven’t yet caught up the standard, the HDMI forum has no problem pushing the envelope out and looking far off into the future. Could you imagine if I told you, five years ago, we’d all be able to record 4k video on our smartphones? That YouTube would allow for 4K 60p? 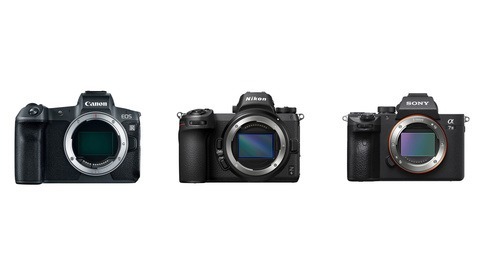 Panasonic have a sub-$2k camera that shoots 4K 60p onto SD cards? You’d think I was having a laugh. So please don’t laugh when I say that we could be working with 10K footage in the next five years. When HDMI 1.0 was released, it had a respectable 4.95 Gbps data rate. HDMI 1.4 brought this up to 10.2 Gbps and was followed by 18 Gbps from HDMI 2.0. The latter brought us 4K resolution video at 60 frames a second. This is a resolution that I love working with on Panasonic’s GH5, and use a HDMI cable to record onto an Atomos Shogun Inferno. What if we could get that up to 8K 60p? Remember when Vincent LaForet showed off the RED Weapon’s 8K 60p capabilities by taking photos with it? 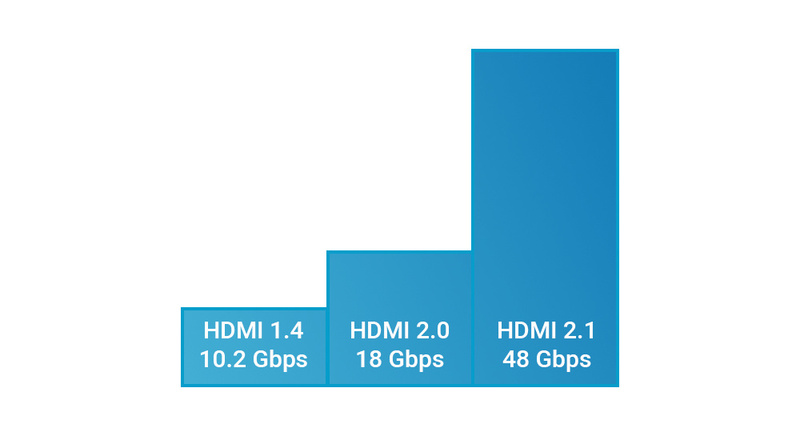 Well with HDMI 2.1 we’ll be offered a data rate of 48 Gbps, so that’s exactly what we’ll get. We’ll also be able to reach 4K at 120p which is a nice treat, on top of 10K at 60p. I think at this point, it’s more important to people who record the video content, than it is to people to want to watch it on their new TVs. Although the HDMI Forum predicts that we'll see a 650% increase of HDR ready TVs by 2020, making up 30% of the market. The adoption could be sooner than we think. The difference is the biggest jump since the early days of HDMI. The 2.1 update won’t mean your current tech is out of date though, because it will be backwards compatible. As such we’re not expecting any changes to the current cable. 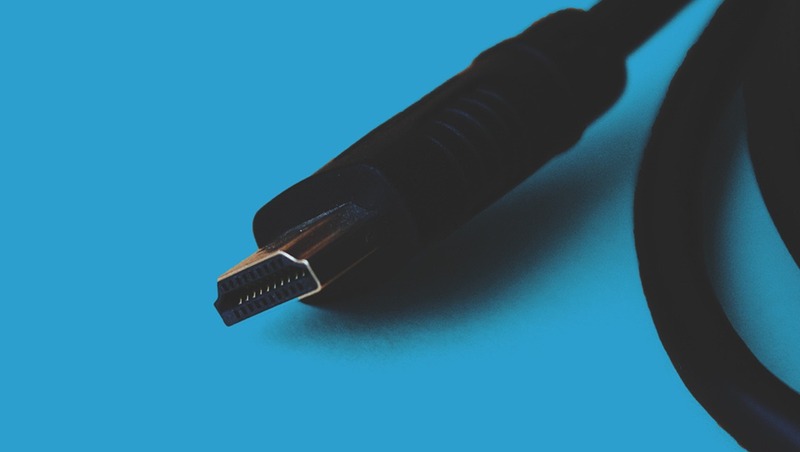 All 19 pins will need to remain intact in order for the spec to be backward compatible, and it will include eARC for audio and Ethernet for an internet connection. How far will the current 2.0 spec get you? I mean we can already get 8K right now, however if you want 8K 60p or 4K 120p then you’ll need to upgrade. 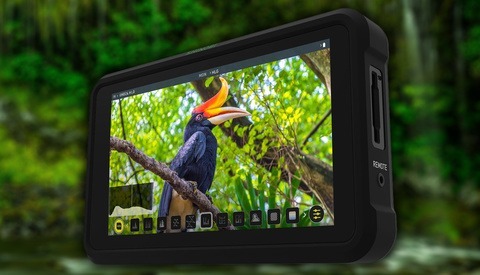 This could mean the likes of Atomos could be releasing a new line of recording monitors far in the future. As great as the current memory cards are, I can see SSDs (Solid State Harddrives) being a much more powerful way to record this kind of content. We could see HDMI 2.1 cables coming out in the coming months, and with that I would be weary. As it is, manufacturers will tout all sorts of irrelevant specs to bring the price of gadgets up. There’s a seriously niche audience for the 2.1 cable but I’m not sure that will stop department stores from advertising it as the future (that you need to buy). For now anybody who's promised a 10K resolution display, will just have to watch Joe Capra's 10K timelapse of Rio on a loop. I’m excited for the infrastructure upgrades. I personally love shooting in 4K, and delivering in Full HD. This means I’ll always have that extra resolution to play around with in post. With the advent of 4K television sets, I’m getting worried that I’ll lose my wonderful resolution cushion. It’s without a doubt that as more clients look for 4K, I’ll be looking for 8K. 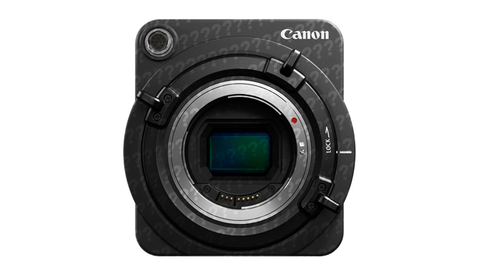 Can Anybody Tell Us What Canon's New Super-35 Camera Is For? You're absolutely right, and that's partly to do with compression artefacts being less noticeable in a scaled-down 4K video than in a regular HD video. Here's to hoping the GH6 can figure that one out for 8K.. Seeing how everyone has a 4k+ camera system out or in the works (RED, Sony Venice, Canon c700, Panasonic EVA1, Black Magic Ursa, etc.) Outputting in greater then 4k resolutions on set will require a higher resolution standard. Been shooting 8k for over a year now and still RED only outputs 1080p. To me that jump to 8k was even larger then from HD to 4k as far as the wow factor. It's more then compression artifacts, it supersampling to denoise footage, it's the ability to stabilize and recompose the composition of the image, larger resolutions give more data in the raw container resulting in greater DR mathematically speaking, the pros just go on.